Located at 7563 Lake Rd, Sodus, New York on the north side of the road at Maxwell Creek Bed & Breakfast Inn. Believed to have been Underground Railroad safe house CA 1846. 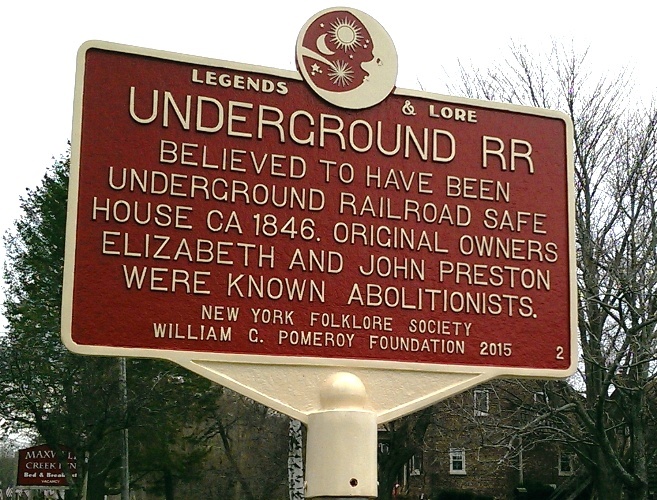 Original owners Elizabeth and John Preston were known abolitionists.